But can they hear you wiggle shhp? Zap! 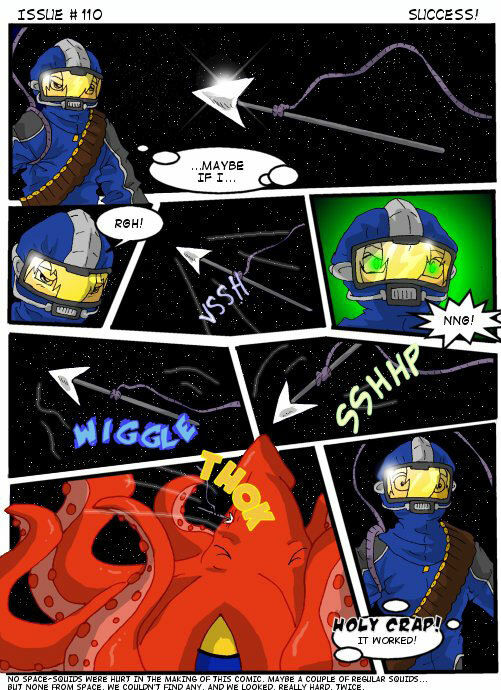 Why would you hurt the poor space squid?! It was just trying to give Excelsior a hug.